How many of you are already thinking that I have made a mistake in my writing the subtitle of this article? Most of us have grown up hearing that “Practice makes perfect.” Well, for those of us who have done any coaching, we will tell you that “Practice makes permanent.” Therefore, your practice must be focused and it must direct you toward an ideal. Recently I had the opportunity to observe the Traditions Ceremony at the school where several of my grandchildren attend. It was interesting to observe. 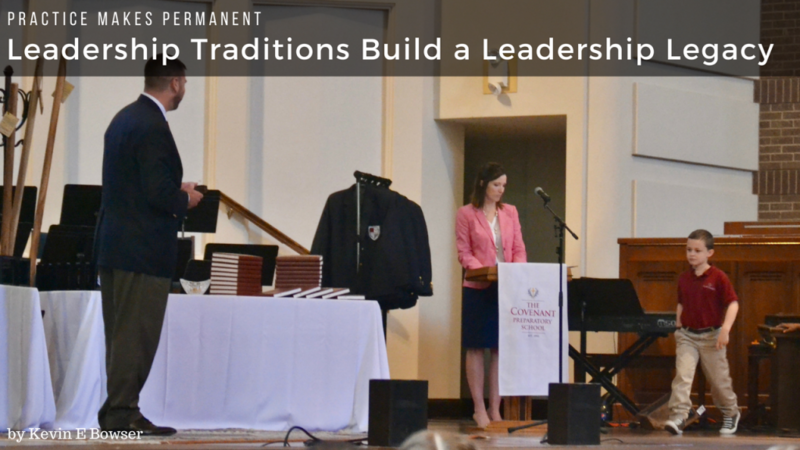 At the Traditions Ceremony, there are special items that are presented to the students throughout their time at the school. Every other year they receive a Tradition item. Children in Kindergarten receive a Bible with their name and their year of graduation printed on the cover. This provides the foundation for everything else that they will learn. Second graders receive a Compass. This reminds them of the importance of guiding principles and the importance of being able to find our way. Fourth graders receive the School Crest. This contains the Knight’s Code and reinforces the duties as well as the rights and responsibilities to speak truth, right wrongs, live pure and follow Christ. Sixth graders receive a Journal and Pen. It is with these that they will begin to formulate and articulate their thoughts and practice the rhetorical skills that are needed to communicate clearly and with conviction. Eighth graders receive a Blue Blazer with the school crest on the left over their heart. The crest has those principles of the Knight’s Code. Sophomores receive a Gold Leadership Pin to wear on the right lapel of their blazers. This is to remind them of their ascending leadership role to the rest of the school community. And seniors receive a Walking Stick. Yes, that’s right. They receive a walking stick. Well, to be perfectly clear, it is not a walking stick. It is a “walking staff.” What is the difference between a stick and a staff? The difference is really in the hands of the holder and the intent of the one who carries it. Anyone can have a walking stick. I have several. They are casual items. Many times they are makeshift. A walking stick can be just a broken branch picked up while out for a stroll int he woods. But a staff is fashioned and fit for purpose. A staff is different. When you think of a walking staff in today’s society, our first thoughts turn to canes and the elderly or the infirmed. But the walking staff is much more than an aid to the one who carries it. It is representative of something more that a tool to keep you from tripping and falling. Over the centuries it has been used for many purposes. It has been used as weaponry. It has been a uniform accessory. But, it has always been a symbol of leadership, authority,.power, and influence. And that is why it is the natural and perfect item to give the graduating seniors as they prepare to leave the relative security of the school and go on to higher education, a career, and a family of their own. They will need all that is symbolized by that staff. OK, I get the Tradition, but what about a Legacy? Go back to my opening statement. Are you just repeating a ritual? That is a tradition. A tradition is really just something that you repeat on a regular basis because it has some meaning to you. But, maybe it doesn’t have any meaning any longer. Maybe it is just something you do because you have always done it. It may have meant something in the past. But it is lost on you today. That is what many traditions have become. Meaningless. How Do We Make a Legacy? The reality is that you can’t. A legacy is not created in you. Instead, it is created in those that follow after you. You must take your Walking Staff and be prepared to use it to steady your steps, point the direction that your followers should take, and fend off any who would want to do harm to you and your followers. That is the difference between a “stick” and a “staff.” Your staff can be handed down from you to the next leader who is willing to take it up and become the leader that they have observed in you. We need to model righteous and noble leadership daily. 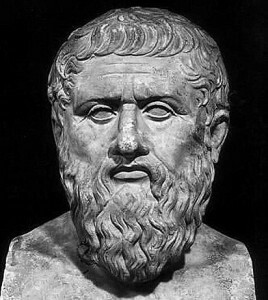 We must do so in such a way as to make it permanent in our behavior and in the way that it is modeled to our followers. What is in your hand? Is it just a broken branch or a fallen limb that you picked up by wandering around in the wilderness? Or is it a tool and a symbol of leadership?